The Minions and Zumba have come together for one purpose: to make people happy through music, laughter and dance. 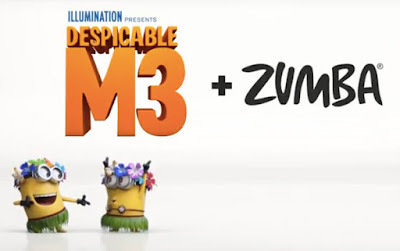 Just like the Minions have made millions of people laugh throughout the world with the “Despicable Me” franchise and “Minions,” Zumba brings happiness and a smile to thousands of people every day. The original song “Tiki Tiki Babeloo (Zumba Remix)” was produced by Grammy-award winning producer Ricky Luna (“La Habana” The Fate of the Furious Soundtrack). The video features Spanish dancer and Zumba instructor Toni Costa who also supported with the choreography for this song.